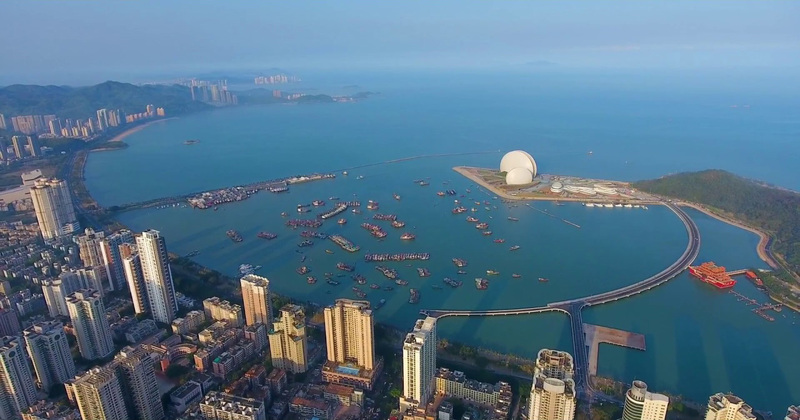 A lightweight, yet dynamic structure designed by Beijing Institute of Architectural Design (BIAD), sits on the shores of Zhuhai island, in China’s Guangdong province. 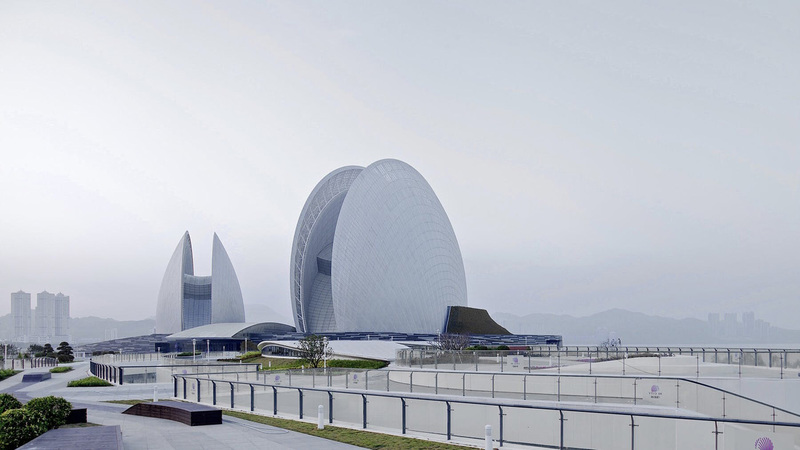 Blending naturally within the sea and sky with a pure and elegant form, the Zhuhai Opera House spreads along the coastal plane in the shape of two curved structures, occupying 59,000 sq-meters in total. 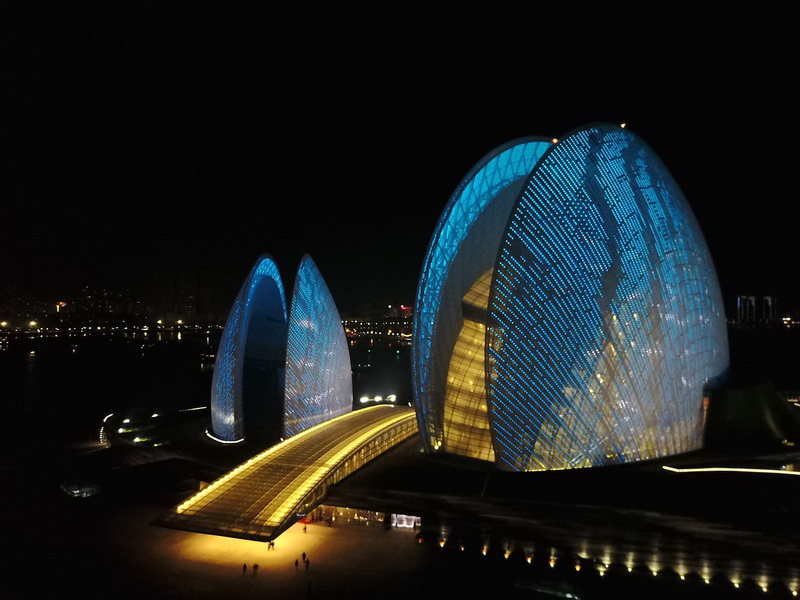 In a poetic manner, the layout of the site references the receding tides in the evening accompanied by the moon, with which Ma Long, deputy chief architect of BIAD, has managed to erect a new landmark for the island while maintaining a humble attitude towards nature. 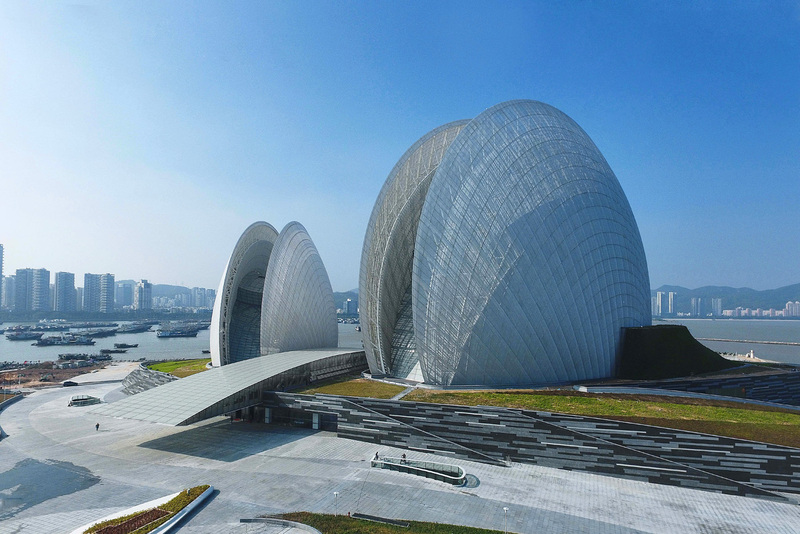 The two structures of the Zhuhai Opera House feature a 1,550-seat opera house and a 550 seat multi-function theater, and are connected with a 350-seat outdoor theater. 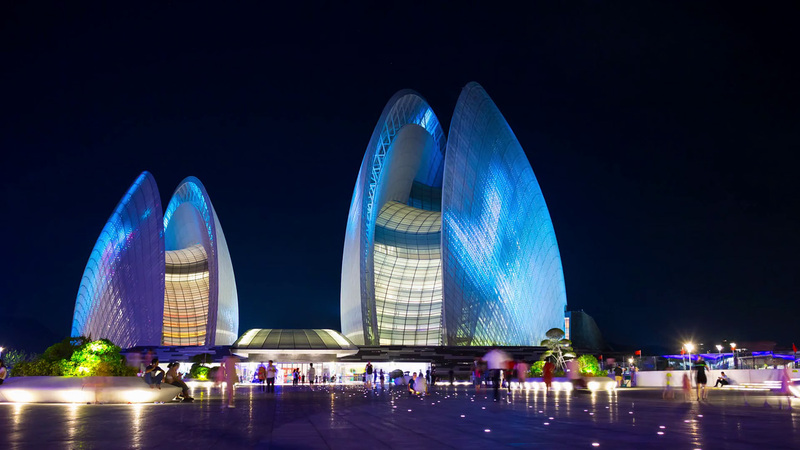 Entering the structure, visitors encounter an equally dramatic interior, where a play between sunlight, moonlight, and theater lights blend with each other across the translucent facade. 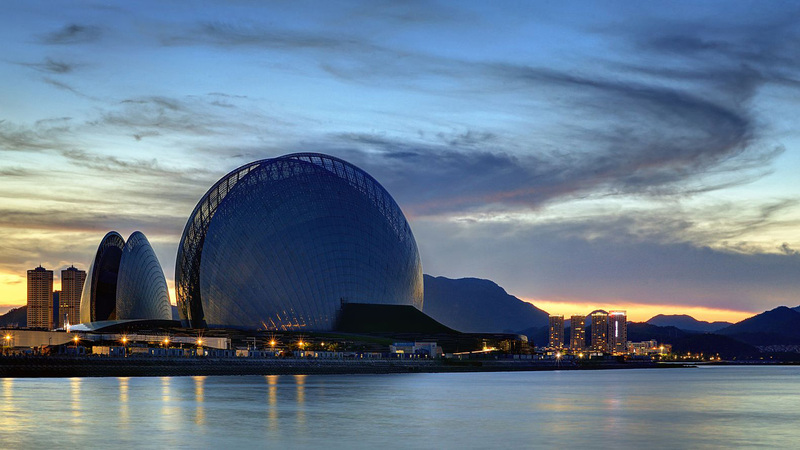 Stunning, isn’t it? 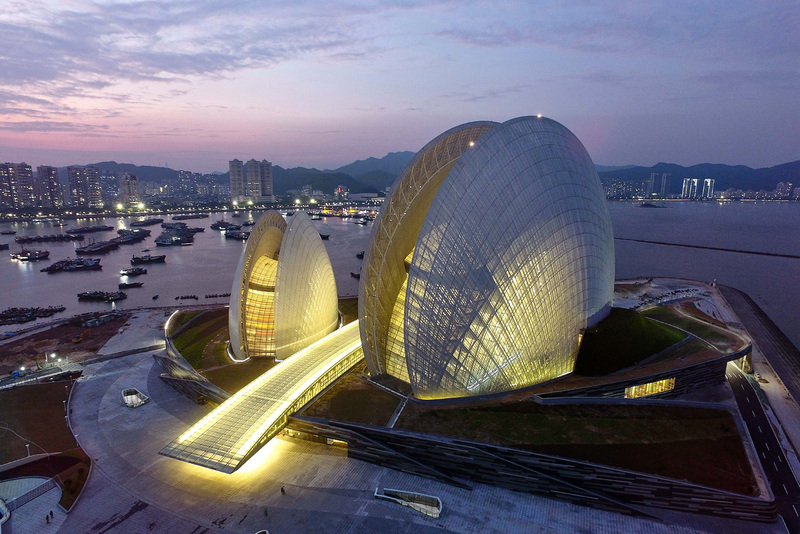 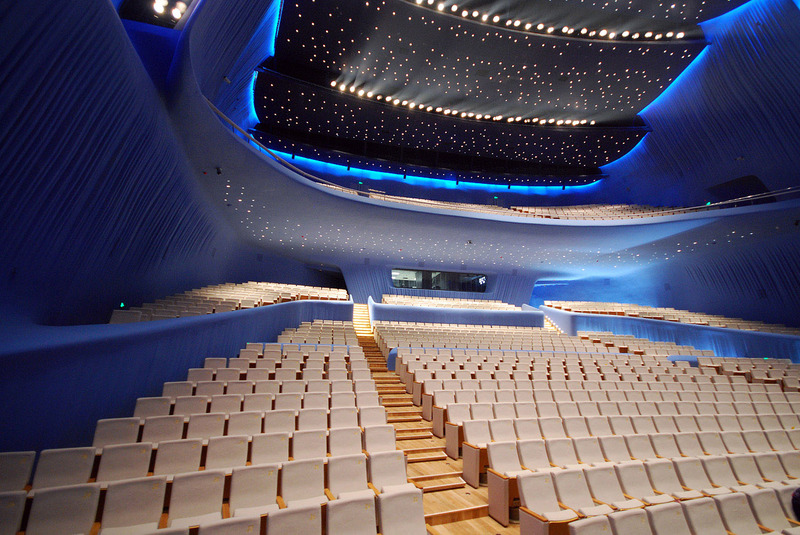 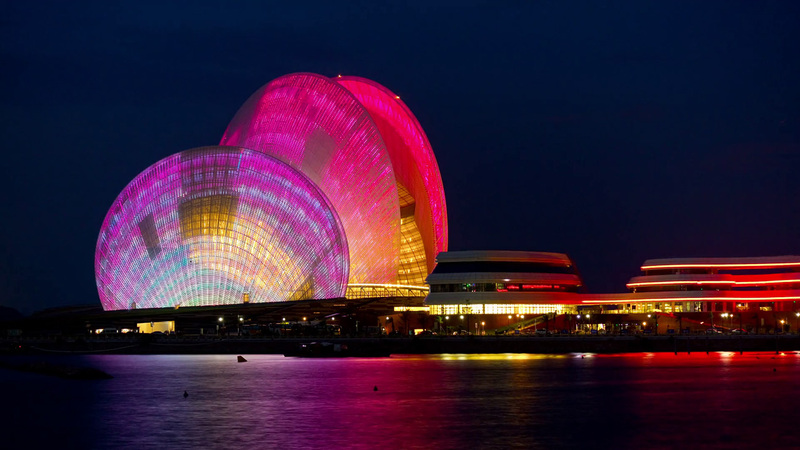 And be sure to check other great opera house: Busan Opera House.